← Fall rafting – the latest ever! One of the things I love about living in the midvalley is the beautiful sunsets – here is last night’s! The midvalley part of the Roaring Fork Valley where I live is close to Basalt and about 20 minutes to Aspen. 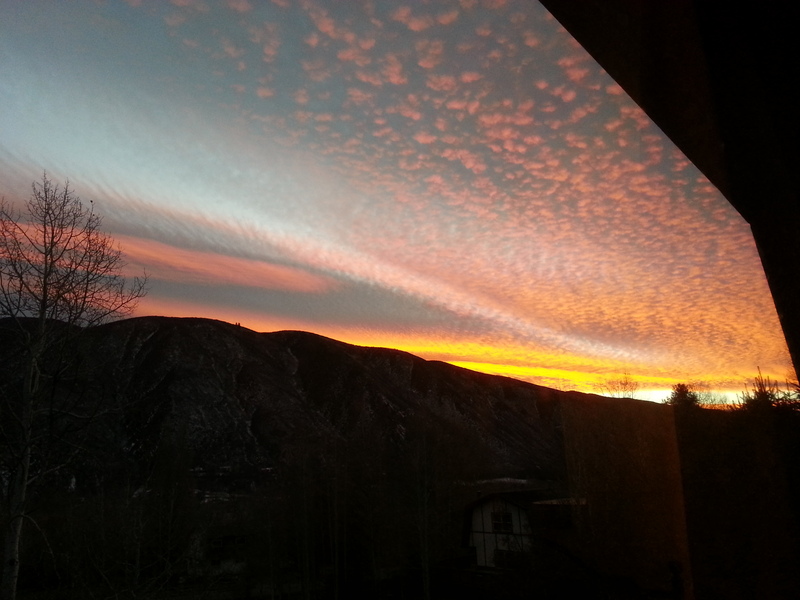 This entry was posted in Uncategorized and tagged aspen, Basalt, beautiful sunsets, bronwyn anglin, roaring fork valley, sunset. Bookmark the permalink.